The Boy Who Would Be … Queen! 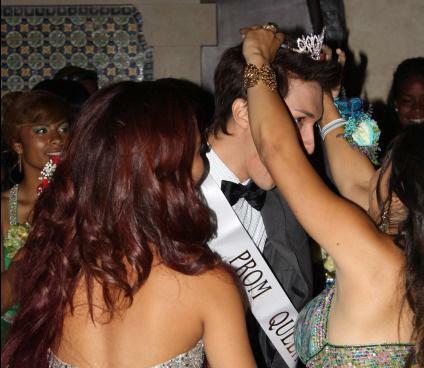 Among the first male students in Southern California to take the title usually owned by female high school beauties, Sergio Garcia, an 18-year-old senior at Fairfax High, said he “felt invincible” after winning the crown. Tell me: Who was the King? Did the King & Queen share a dance?